It’s time to get into shape: this is the thought of millions of Italians right now, after almost a month of over indulgence. Alas, there is nothing better than good food, if you ask me, and thinking of going back to a strict diet of lettuce and grilled chicken makes me sort of sad, but does it really need to be like that? And most importantly, do we really need to relinquish our heritage in the kitchen to get rid of the extra pounds we so delightfully gained over Christmas? Italian cuisine is luscious and rich, we know it. 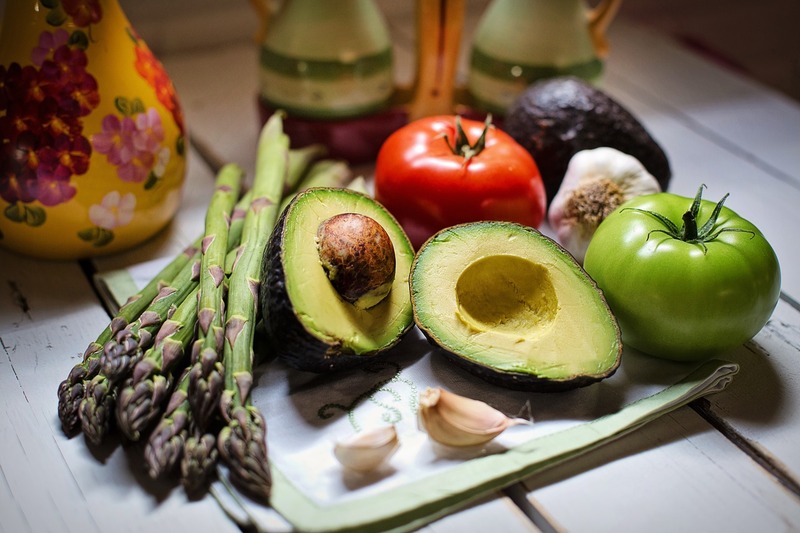 But it is also defined by its simplicity and by the large use it makes of fresh produce and light ingredients, as it is typical of the Mediterranean diet. You may be surprised to find out that you can shed weight and still enjoy some truly Italian grub without a hint of guilt in sight. How? It’s easy: focus on simplicity and ask yourself what your grandparents would have eaten. And you know what? According to Valter Longo, Italian expat known for his longevity diet, eating the way our grandparents did could also help keep us healthier and live longer. In his latest book, Longo studied the dishes typical of Italy’s most longevous areas and came to the conclusion that most of them shared the same characteristics: they were rich in legumes and vegetables and cooked simply. Dishes so unassuming, in fact, that the famous nutritionist had a hard time finding restaurants serving them: many of them belong to the truest cucina povera tradition, that based on large quantities of vegetables and pulses typical of the Italian countryside, when only the wealthy could afford meat and fancier ingredients. Lima beans, collard greens, chickpeas, chestnuts, spelt, broccoli, anchovies, peppers, potatoes, lentils, fennels, pumpkins: tasty and healthy foods, perfect to keep us healthy, young and slim. The secret to cook them properly is simple: do what our forefathers would and cook them as little as possible, so that their natural flavor and organoleptic characteristics remain untouched. Eat and lose the bulge! So, what should we eat this month of January to get back into shape and remain healthy, without renouncing to the taste and warmth of Italian cuisine? Forget about that heavy, tomato laden concoction you get often in restaurants. A real minestrone di verdure is the ultimate comfort food: filling and delicious, yet light and packed with healthy ingredients, it is the perfect dish to have if you are trying to get back in shape without giving up taste. If you can, get your hands on some seasonal vegetables, with the addition of some zucchini, if you wish: think of pumpkin, of course, but also chards, savoy and regular cabbage, leeks, carrots, potatoes, onions. These are the basic ingredients for your minestrone. Add to them a handful of beans, of whichever variety you like, and les jeux sont fait! To make it, I usually heat up some extra virgin olive oil in a large saucepan then throw in a thinly chopped half carrot and onion, just to get some flavor going. I then add the legumes and toast them lightly. Cover with water and let them simmer while you chop all the vegetables; when you’re done, add them to the pan, topping up with water if needed and adding some salt. Salting is a pretty personal thing: add as little or as much as you like, keeping in mind that, of course, too much salt is never a good idea if you want to keep healthy. Cover with a lid and let time and nature do their work: mind, it may take a little while, about one hour, to get all the veggies nice and tender. You may wonder about all those vitamins and minerals getting lost during cooking time: well, it’s not an issue, because with minestrone you’ll eat them in the broth! When the soup is ready, serve with a drizzle of olive oil and some grated parmigiano. If you want to do as the Ligurians, then add some pesto to your plate, too. Now, pasta or rice are delicious in minestrone, but you may like to skip them if you’re actually trying to lose some weight! The best thing about this dish? It’s even better the following day! Risotto: Italy’s ultimate comfort food… would you have thought you can have it even if you’re on a diet? Apparently, yes…Rice has a high glycemic index, which is not ideal when dieting, but the way it is cooked when making risotto makes it better from this point of view. The natural creaminess of pumpkin makes it easier to bypass the butter, and the addition of some nutmeg and rosemary, along with a final sprinkle of parmigiano reggiano, gives it just the right flavor. The secret here is to make a light soffritto with leeks and rosemary and, in another pan, peel, dice and boil the pumpkin (about a 400 gr for 300 gr of rice) with a bit of salt. Keep the water, because you’ll need it to make the risotto! You should purée the pumpkin, but if you prefer it diced, that’s fine, too. Add the rice to the leeks, toast and wet with a glass of white wine. Let it evaporate, then add a bit of nutmeg, the pumpkin and a ladle of pumpkin water. Cook as you would do with any risotto until the rice is ready. Before serving, add some parmigiano and, if you want, a bit of extra virgin olive oil. 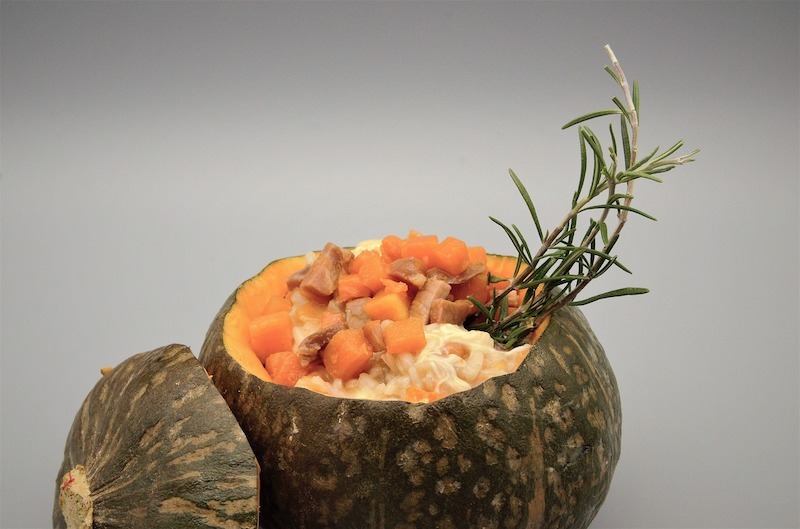 Getting into shape with a delicious risotto alla zucca! Who says that bread is out of the question if you’re trying to lose weight? And who says that eating healthy is time consuming? When it comes to having a bite on the go, nothing beats a good old piadina. It’s easy to think of piadina as a heavy type of bread, mostly because of the presence of lard in its dough. But finding lighter versions of this romagnola delicacy is simple nowadays and, guess what! it’s super easy to make, too. You only need to mix together 250 gr of brown flour, 50 gr of white flour (the one you use for cakes and we call 00 in Italy), 140 ml of water, 2 tablespoons of extra virgin olive oil and some salt. Mix all together until you get a smooth dough ball and let it rest for 30 minutes, outside the fridge. Divide the dough in six equal parts, then roll it very, very thin. Here comes the trick: piadina needs to be baked in a frying pan, but make sure it doesn’t stick. Whatever you use to make pancakes will do just fine. When the pan is very hot, put the first piadina in, piercing the bubbles with a fork. Turn, repeat, serve. A light, but tasty filling for your wholemeal piadina is tuna and chickpeas: mix together a tin of tuna in brine (drain it first! ), some cottage cheese or light cream cheese, some sliced chives and about 60 gr of tinned chickpeas. Mix together the tuna and the cheese, adding also the chives and some salt and pepper. Spread it on the piadina and add in the chickpeas, garnishing with lettuce and, if you wish, with some mint or parsley. Eat like your Nonni and don’t Forget about Them! Truth is, eating simple, wholesome food is a good idea for the whole year, not only after Christmastime, and taking a leaf or two from our grandparents’ daily recipe book is not that bad, either. It’s true, when there was need for a feast, no one did it better than them, but their daily diet was characterised by simplicity and frugality, without ever forgetting about taste. Embrace lentils, seasonal vegetables, beans and anchovies (not necessarily in that order, mind! ), make your own brown bread, but don’t hesitate to bake a nice apple pie or a fresh jam tart (our crostata): a slice for breakfast is only good for your mood.